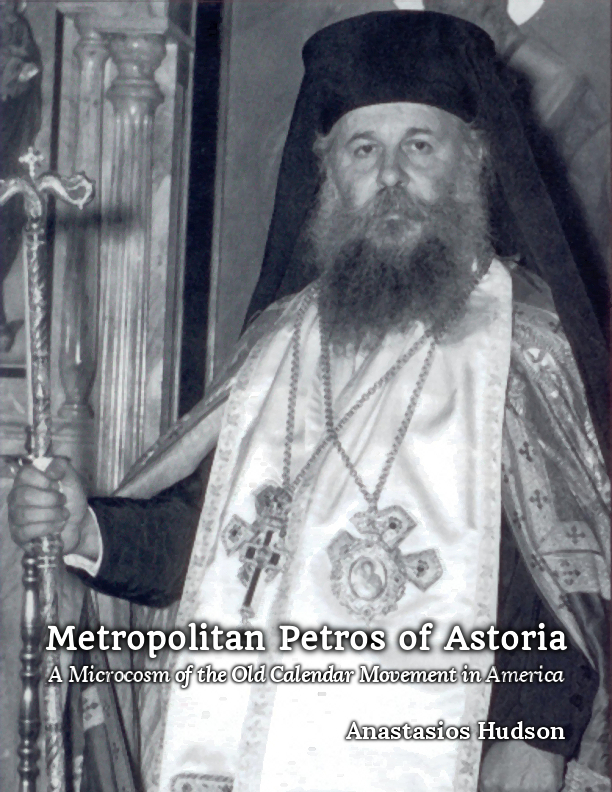 A new book, Metropolitan Petros of Astoria: A Microcosm of the Old Calendar Movement in America, has been published. This book, which was originally the author’s Master’s thesis at St. Vladimir’s Seminary (2005), has been edited and corrected, and formatted for publication. Please Note: Barnes and Noble Nook, Apple iBookstore, and Kobo editions are pending. “Metropolitan Petros of Astoria was born Stephanos Astyfides on September 1, 1915, on the island of Chios, Greece, to Maria and Dimitris Astyfides. 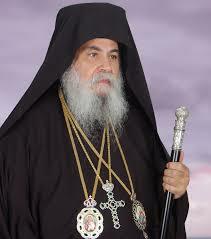 From an early age, it is reported that both he and his brother Nikolaos (later Fr. 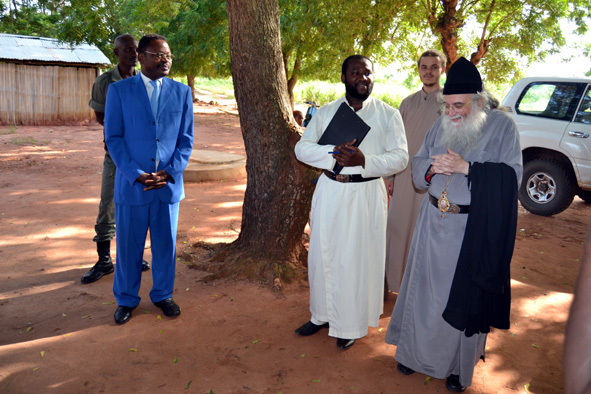 Niphon) were inclined towards monasticism. At the age of 18, Stephanos set off with Nikolaos to Mount Athos, where they resided at the Skete of Saint Anna in the Cell of the Holy Ascension. 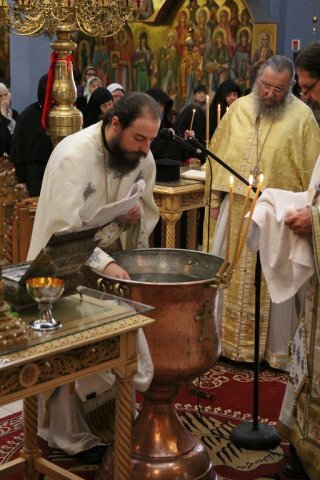 They were ordained as deacons and priests by Bishop Germanos of the Cyclades in order to serve parishes in Thessalonica, Chios, and Athens that adhered to the Julian Calendar. 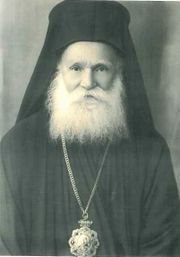 The precise date of Father Petros’s ordination to the priesthood was August 9, 1944. At this time, there were no bishops and very few priests affiliated with the Greek Old Calendarist Church, and as a result hieromonks from Mount Athos performed the task of serving for those faithful who refused to accept the New Calendar” (Chapter 2). Tucked away on a quiet street in Astoria, New York is the Cathedral of Saint Markella, founded in 1954 by Metropolitan Petros of Astoria (1915-1997), the first resident Old Calendarist Greek Orthodox bishop in America. This work examines his ecclesiastical life, from his origins in Greece through his arrival in America and establishment of the Cathedral, his ordination to the episcopacy by bishops of the Russian Orthodox Church Outside Russia, his relationship to the Holy Synod of the Church of the Genuine Orthodox Christians of Greece, and his later years. The controversial issue of his views on the issue of Grace in the Mysteries (Sacraments) of the New Calendarists is discussed frankly and analyzed. His life and work is framed in the context of the Old Calendar movement as a whole, and his life is revealed to be a microcosm of it. What emerges is a portrait of a zealous pastor dedicated to the salvation of the souls under his care, who reached out to the Greek Diaspora of New York and beyond with a concern for preserving and restoring ecclesiastical Tradition, who cultivated deep relations with Russian Orthodox Christians at a time when Orthodox in America appeared to be hopelessly fractured along ethnic lines, and who maintained a principled approach to theological matters, despite suffering great personal costs. Also, see the excerpt from the Preface.